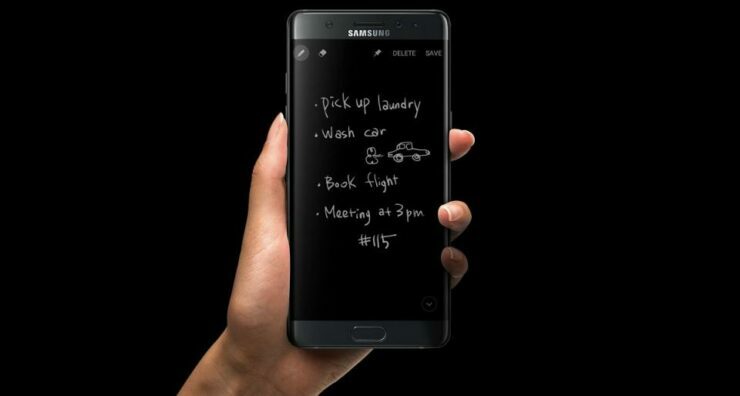 Prior to its official announcement taking place on the March 29, the leaks continue to pour in and what we have for you is the Galaxy S8 smiling for the camera, and thanks to its Super AMOLED display, there are some really great perks that Samsung has taken advantage of, and you guys will find out about this shortly. 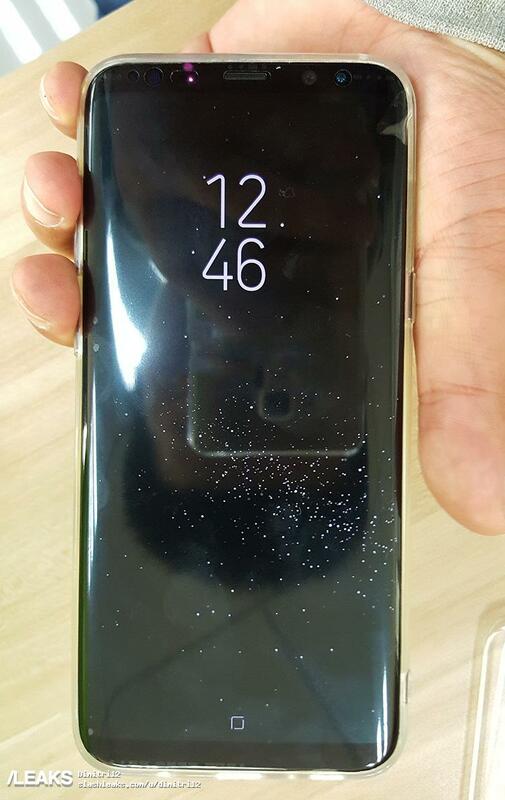 The entire front side of the Galaxy S8 can be seen in this image and thanks to Slash Leaks, we get a better look at how the device will look and feel. It definitely looks like an expensive phone and the curved-edge display that melts towards the side of the handset mean that a higher screen-to-body ratio can be obtained. Sure, it comes nowhere near close to the bezel-less form factor of the Mi MIX, but keep in mind that this is Samsung’s very first attempt at a device like this, so it deserves that credit at least. One other thing you have to watch out for is that home button, with the physical home button no longer present at the front side, you will have to take advantage of that soft button and we are assuming that as soon as you change your smartphone’s orientation to landscape mode, that soft button will immediately adjust itself accordingly. This also means that the physical home button present at the rear side might be for the fingerprint reader as well as to summon Bixby, but you will get to know all about it as soon as the phone has been announced. A few minutes back, it was reported that Samsung’s global partners saw the Galaxy S8 behind closed doors during the MWC 2017 trade show and they were very impressed with Samsung has come up with. Looking at this leaked image, we have to say that we are also thoroughly impressed with the company has been working on, but if we only got to see the real thing much sooner rather than later, that would be perfect.